It was overtime at a Predator’s hockey game when I got the call. I squeezed past my row of anxious fans. I raced by food vendors, families in line for the bathroom, and tired security guards. I barreled down three sets of stairs, spilling into the closed off street next to the arena. There’s an eerie stillness just before a hockey game lets out. Just before tourists are set loose on Lower Broadway. For a few tense moments, it’s quiet. I stood alone in downtown Nashville, trembling, as I learned about my close friend’s suicide. That was the moment my entire world changed. Chances are, you have been touched by suicide, too. Suicide is the 2nd leading cause of death for 24 to 35-year-olds. Are you familiar with these heartbreaking facts? Money and Mental Health Policy Institute points out the link between financial difficulty and suicide is well established. According to their research, if you have had a “major financial crisis” within the past six months, you are nearly eight times more likely to experience suicidal thoughts. If you have multiple debts or are unemployed, you are particularly at risk. Tennesseans are especially vulnerable to financial issues. Our state is among the top three in the country for foreclosures. The Nashville Financial Empowerment Center provides free, professional financial counseling to Nashvillians citywide. They help Davidson County residents reduce debt and build assets through free, one-on-one financial counseling incorporated into existing services offered in the city. A new study from Vanderbilt found first-time home buyers who completed Tennessee Housing Development Agency’s homebuyer education course were much less likely to lose their home to foreclosure. The Tennessee Housing Development Agency also offers free and confidential foreclosure prevention counselors throughout the state. The Tennessee Department of Treasury oversees a number of public programs dedicated to promoting financial literacy throughout Tennessee. Know the suicide warning signs. These include talking about suicide, seeking lethal means, preoccupation with death, no hope, self-loathing, getting affairs in order, saying goodbye, withdrawing, self-destructive behavior, and a sudden sense of calm. Speak up. By reaching out and speaking with a loved one, you may provide relief from pent-up negative feelings and loneliness. Respond quickly in a crisis. Take all comments about death or suicide seriously. Try to evaluate the immediate danger this person may be in. Offer help and support. Being an empathetic, listening ear can go a long way. But don’t take responsibility for their recovery. Assist them with finding professional help. Be proactive during their treatment. 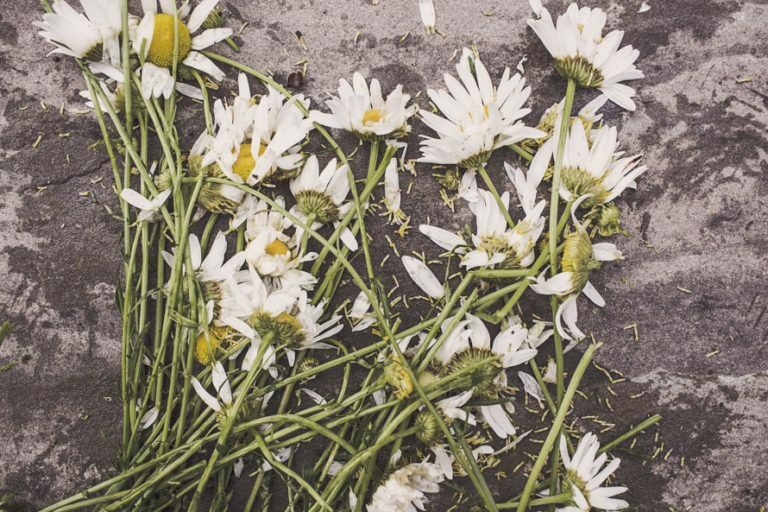 Losing a loved one to suicide is devastating—especially when money problems were involved. By speaking openly about the link between money and mental illness, we are further reducing the stigma. This blog post is part of the World Suicide Prevention Day blog tour. If you or someone you know is feeling suicidal, please call the National Suicide Prevention Lifeline at 1-800-273-8255 or visit www.Suicide.org. How Much is Physical Fitness Worth to You? I am so sorry for your loss, Kate. Suicide’s effects can be so tough yet many of us don’t talk about it. Thanks so much for sharing! Thank you for organizing this blog tour, Melanie! I am totally blown away by everyone’s posts. Thank you for sharing your story. We need more people to speak out and work on suicide prevention. I agree, Matt! It has been amazing to hear from other bloggers. Thanks for sharing Kate. I am sorry to hear about this. It’s such a shame when people feel like they can’t deal with a problem. They feel like no one is there to help and that suicide is the only way out. Between 2010 and 2014 in Australia alone the average suicide was 2,577 per year…. too many. The more people talk about suicide the more awareness we will raise and the more deaths we can prevent. Wow, that statistic from Australia is heartbreaking. Thank you for reading and commenting, Ray Ray. Very sorry about your friend. Thank you for raising awareness this is a topic that deserves more noise. Thank you for reading and commenting, Pauline. Males are about 4 times more likely than females to die by suicide. Females attempt suicide 3 times as often as males. Men use more lethal methods for suicide (firearms). Women seek help more often than men. Horrible statistics. Thank you for sharing, Jeff. It’s important to raise awareness about this. I know, it’s so awful to think about, Tonya. Just finished reading a article about dealing with financial stress. This is definitely a topic that needs to be talked about more. A lot of people aren’t aware of the resources available out there, so anything that can be done to spread the word is great. Thanks for sharing your story Kate. Thank you for commenting, DJ. I totally agree! A lot more awareness is desperately needed. Thank you so much for sharing your story. It’s hard to bear that a close friend would suicide because all of the memories you’ve had with that person. Indeed, Finance Solver. Suicide is devastating for all involved. Life is very precious gift to us by God. This article describes all the reasons due to which people can commit suicide. All the signs and symptoms that can lead to suicide are discussed here. Also, the organizations that teach about financial literacy are being discussed. Read it and save lives of your loved ones. I think there are so many suicides worldwide because of lack of communication. Any problem can be fixed if you open up and talk about it. You’ll feel better just by speaking about it and we shouldn’t ever have to bear something bad on our own. Even if we’re in debt it can still be solved but we need to encourage people to communicate and open up. Thank you for sharing this post Kate. Wish we met sooner. Let’s definitely stay in touch so we can do more to prevent further suicides and reduce stigma so our friends know they aren’t alone. Thanks, Lynette! I’m really glad we connected. Let’s look for ways to work together in the future. The sad part of this is, the only way to solve this problem is to get out of financial difficulty. No amount of talking to anybody will solve a financial problem. Ive been slowly become part of this statistic over the years and Ive turned to just say nothing about how I feel to friends and family because I dont want to burden them with problems they cannot solve. And its embarrassing at my age. Nowadays I force myself to meet a friend once a week just so I dont lose my mind. But even with the smiles when with them, once we all go home, I dont even want to be in my own body. Its as if I was wearing a “happy” mask that whole time. What really gets me is the fact that for the last 5 years(18 on the craft itself), Ive spent time after work and on the weekends to try to build my own personal business outside of work to try and build some financial freedom. But no matter how much time I sacrifice to reach the light at the end of the tunnel, it just feels like Im on a treadmill going no where. When my birthday comes, I hate it because its basically year in review for me. “How far have I come?” And every year for the past 5 years its been incremental to almost no change despite all the extra activity Im doing. The feeling gets worse each year as I approach 40 years of age. I have a few colleagues and a few people I know of who are crushing it in the same field and some of these people are 10+ years younger than me. Its quite soul crushing. Through a lot of research, talking to people, reading books and listening to interviews, I came to the realization this year that for 18 years, I had been approaching my craft in the wrong way, which is in part why Im having financial difficulties. I just want to have more time to fix the wrongs. I had a divorce 8 years back. I didnt want to at the time but several months later, my life started moving in the direction I wanted to go. Because of this, I got over the divorce rather quickly. But I plateaued over the next few years. Of the top three reasons for the divorce, we had two of them, 1. Financial difficulties 2. Future plans were on different paths(She wanted kids and I wasnt ready). These two problems usually go hand in hand. If a person is having financial difficulties, they probably dont want or are not ready to have kids. I believe she made the right choice. But this goes into another thing that is hardly talked about which is also part of the suicidal feelings men feel. A mans worth in society and to women is greatly hindered by having financial difficulties. Most rational women who want to settle down and have a family are not going to choose a man who has financial difficulties. I cant even get angry at that, I actually respect it. If I was a woman and wanted to settle down, I wouldnt even choose me. I dont feel I want to get married again but sometimes I think, if I had financial stability/abundance, I wonder if those feelings change. I just dream of the day when I dont have to think about money. The stress over money just seems to never go away despite my efforts. The suicidal thoughts started a few years back and keep getting stronger with every passing year that I see little to no progress. And at this point, Ive started to lose passion for my craft which is how I make my money. I just want out. I understand that there is a philosophy behind these suicidal thoughts. Its, where you are at vs where you want to be, and how large the gap between those two are. Even a millionaire who wants to be billionaire can have high levels of stress because of that gap. I get that WANT/DESIRE is the problem and gratitude for what you have can help. But gratitude becomes hard to grasp if you feel things around you crumbling and the gap is getting wider. Im sorry for the long rant.